Showjumping returned to Christchurch’s central city for the annual Jump for Cancer fund-raiser late last month. Organisers chose to forge ahead with the event just days after a shooting left 50 people dead and many injured as two mosques were targeted by a lone gunman. More than 1500 people attended Hagley Park’s Jump for Cancer, an event created by breast cancer survivor Lisa Tennekoon to raise funds for the New Zealand Breast Cancer Foundation. 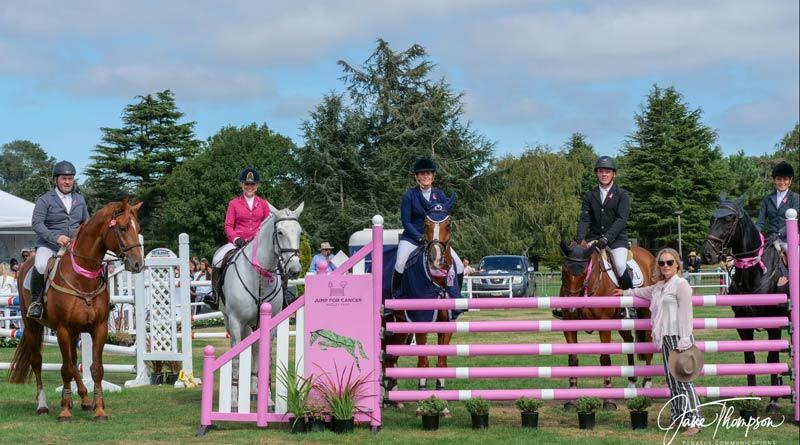 The event saw show-jumping enthusiasts and supporters of breast cancer awareness congregate for a thrilling event with some of New Zealand’s top riders. Tennekoon lost her mother to breast cancer. She says the event has great significance to her and many of its supporters, but it was still a difficult decision to go ahead in light of the recent tragic events in Christchurch. “It was a tough decision, but ultimately this is an annual charity event that we hope provides a fun day out for Christchurch, while also doing some real good for the New Zealand Breast Cancer Foundation. Many of our supporters have dedicated a lot of time to this cause and we didn’t want to let them down. It was wonderful to see so many people turn up to support the event,” Tennekoon said. A free to the public event, the fundraiser for the New Zealand Breast Cancer Foundation raised money through bucket collections and the VIP areas. A popular show jumping event on the sporting calendar, there were several national riders competing. The Horse Class winner was Olivia Robertson from Queenstown riding Grandiere. Angela Frewer won the People’s Choice Award riding Donella Dundee. In the Pony Class, Harriet Stock won both the Class and the People’s Choice Award on Esperanza. Highlights of the event included the course that was built and designed by Roger Laplanche, a renowned international course builder, and inspirational guest speaker Di Foster, who shared her story of surviving a terminal diagnosis and becoming cancer free. “The riders and their horses really enjoyed the course and showcasing our wonderful sport in style. The show jumping community are incredibly supportive of the event,” Tennekoon said. In addition to Jump for Cancer Hagley’s usual line up, a fashion parade was introduced to the 2019 event. “It was a great addition. Riders became models and the equestrian fashion was a hit. Models wore clothing from One Black Horse, Equus Lifestyle and TAD’s Merivale. It was all beautiful,” Tennekoon said. • An online fundraising page for Jump for Cancer Hagley Park closes on May 1.